P is for pasta, pizza, pomodoro, prosciutto, parmigiano, pancetta, pecorino… an important letter in the Italian culinary dictionary! When you think of Italian food, you may think of mounds of creamy pasta or cheese covered pizza, but the Italian diet actually follows many of the healthy eating guidelines from various diet experts. And that is why the Italians are healthier and slimmer than the Brits and also, on average, live longer. Less than 40% of Italians are overweight or obese compared to 61% of UK adults. So it is not surprising to learn that Italians are around half as likely to die from coronary heart disease as the British. This is mainly due to the lower intakes of saturated fat, not only through the use of olive oil but also other aspects of the Italian diet. Yes, Italians base meals around pasta, bread and rice, but they eat a lot of fruit and vegetables, around 50% more than people in the UK. They also eat fish in preference to meat and dairy products are only consumed in small amounts. At the heart of Italian food is the humble pomodoro – the tomato. The lycopene in tomatoes is an antioxidant that may protect against heart disease and cancers of the prostate, lung and stomach. Our bodies can absorb more lycopene when tomatoes are cooked or processed so it is fine to use sun dried or tinned tomatoes. Fresh tomatoes are best kept out of the fridge and easily grown at home. Even if it is too late to grow from seed, you can get a young plant for each child to tend! Start with a simple tomato and basil salad or bruschetta, make a tomato sauce for pasta and pizza, a quick lunch of cold or warm roasted tomato soup with a swirl of olive oil and a few bits of mozzarella sprinkled on top – so versatile! Pasta has a low glycemic (GI) index, which means pasta releases sugar slowly into the blood, providing long lasting energy and preventing the dips in blood sugar that leads to tiredness and cravings. 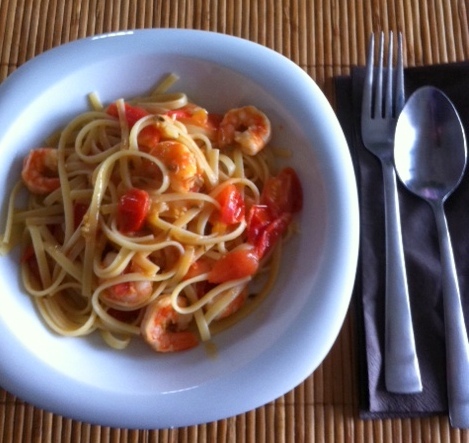 In Italy you would be served a small portion before the main dish, never a huge main plate serving that we see here. Have some grilled vegetables (antipasti) first and then your pasta dish. 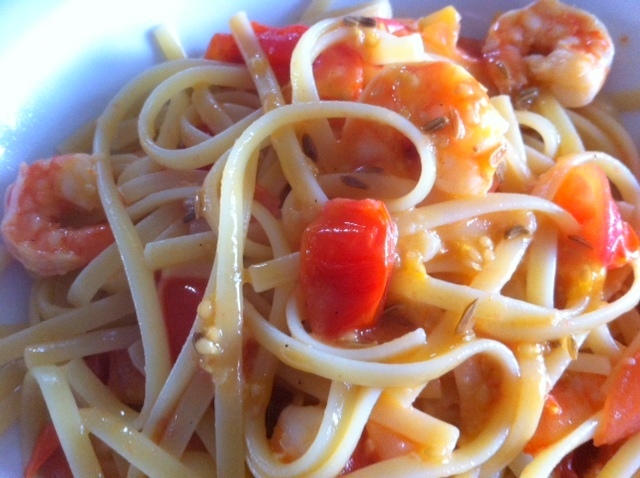 Why not try linguine with fennel seeds, cherry tomatoes, chili, garlic and prawns. This is so quick and easy and just downright delicious. I taught a friend to make it after she came to lunch one time. She is not a big cook and sticks to her weekly dishes, but this plate of pasta made her realize how simple dishes really hit the spot, and that she needn’t be afraid of cooking! Use plenty of fresh herbs to add flavour and you will need less salt. Try other salad leaves such as rocket, radicchio and chicory and boost your intake of vitamin C, beta carotene (which your body uses to make vitamin A), iron, calcium and antioxidants. Fresh ingredients and simple recipes are the key to good Italian food. If you compare the number of ingredients in Italian dishes to other countries you can really see how it is about bringing out the best in each ingredient, pairing it with another one just to further showcase the meat, fish or vegetable. However, fewer ingredients doesn’t necessarily mean faster food, but twenty minutes of constant TLC is worth every second when you have the first mouthful of that sundried tomato, rocket and goats cheese risotto! Stir grated raw courgette into freshly cooked pasta, with basil pesto and lemon zest for a quick midweek meal. Use a vegetable peeler to make thin courgette ribbons and toss in a lemon and olive oil vinaigrette with chopped mint and serve with grilled chicken or white fish. Fry sliced courgettes over a medium high heat with a little olive oil, add garlic and fresh thyme, toss with olives, crumbled feta and chopped fresh tomatoes for a delicious salad. I am sure that the climate influences lifestyle and lifestyle choices, but we can bring our own little bit of Italy into our homes and kitchens. Put a large pot of water on to boil for the pasta (don’t forget the salt). Heat 1tbsp olive oil in a frying pan on medium high heat, add the garlic, crushed small dried chilli and then the fennel seeds, crush the fennel seeds with you fingers as you add them. Cook for for 1 minute to release the flavours, stirring constantly. Add the quartered tomatoes to the frying pan, stir and reduce the heat, you don’t want to reduce the tomatoes down to nothing! Add a tablespoonful of the water from the pasta to the pan. Season with salt and ground black pepper. Just before your pasta is ready add the prawns to the tomatoes to warm through. Save a good tablespoonful of water from the pasta, then drain off the pasta. Add the pasta to the pan with the prawns and tomatoes, add a drizzle of olive oil and some of the pasta water if necessary. Serve straightaway. Fry the pancetta over a medium heat until slightly crispy, remove with a slotted spoon and drain on a paper towel. Add ½ tbsp of the olive oil to the bacon fat and toss in the garlic and chilli, cook for 1 minute and then add the fennel. Cook for 5 minutes stirring often. Add the chicken stock, lemon juice, thyme and half the parsley and fennel seeds, bring to a boil then reduce the heat to low, cover and simmer for 20 minutes. Stir from time to time. Cook the pasta according to packet instructions, reserve a cup of the pasta water then drain the pasta. Remove the lid from the pancetta and fennel, season with salt and pepper, turn heat to high and cook until most of the liquid has evaporated, about four minutes. Add the pasta to the pan, along with the remaining olive oil, the cooked bacon and a splash of the pasta cooking liquid. Serve with a good sprinkle of grated Pecorino or Parmesan and parsley. 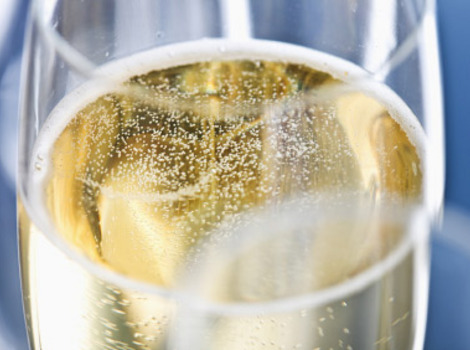 Enjoy with a glass of Prosecco ! Followed by a light, creamy panna cotta…Prego!